Scripture records a number of symbols which apply to the Holy Spirit, namely water, fire, rain, oil, dove and last but not least, the seal. They teach us important truths, but we must beware by not falling into idolatry by mistaking the symbolism for the Spirit of God. We derive valuable teaching from them, , but they are not the Holy Spirit. We must not make the symbol an object of worship and adoration. The purpose of symbolism is to shed light on, add understanding, and to illustrate the truth. They should never be used in any other mystical or obscure way. We too must be very cautious regarding the use of the symbols that relate to the Holy Spirit. May the Lord God guide us in this as we study the symbolism of fire in the Holy Spirit. Fire symbolizes the transforming energy of the Holy Spirit's actions. The prayer of the prophet Elijah, who "arose like fire" and whose "word burned like a torch," brought down fire from heaven on the sacrifice on Mount Carmel. This event was a "figure" of the fire of the Holy Spirit, who transforms what he touches. 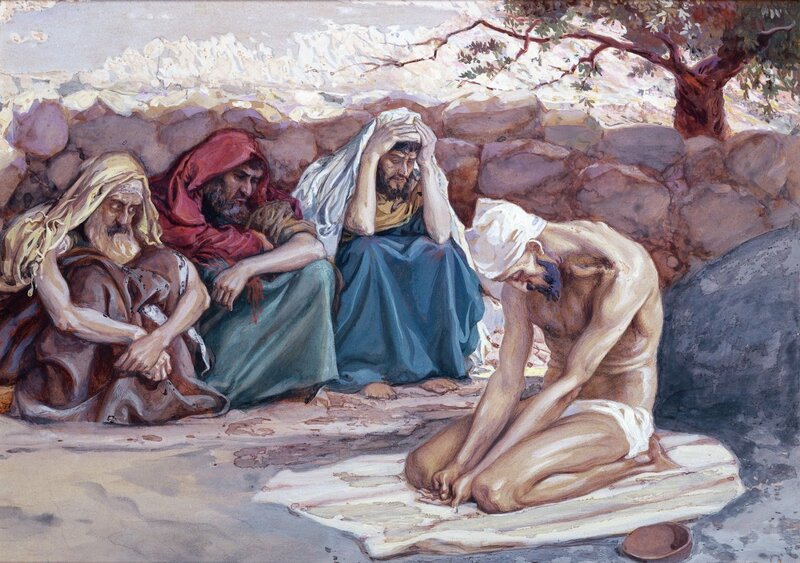 John the Baptist proclaims Christ as the one who will baptize you with the Holy Spirit and with fire. Jesus will say of the Spirit: "I came to cast fire upon the earth." On the morning of Pentecost, Jesus Christ fills them with the Holy Spirit, which is the Spirit of God and or the Spirit of Jesus Himself. The spiritual symbolism of fire is one of the most expressive images of the Holy Spirit's actions. Psalms 105:39 records that "He (God) spread a cloud for a covering; and fire to give light in the night." The night has no light and is full of darkness and people will not be able to see unless there is light shining in the dark. Like the Holy Spirit shines like a fire in the dark atmosphere, it helps to illuminate the darkness of the soul of man. For God, who commanded the light to shine out of darkness, hath shined in our hearts, to give the light of the knowledge of the glory of God in the face of Jesus Christ (2 Corinthians 4:6). Through Jesus Christ and the scriptures, man is able to see the light of the knowledge of the glory of God. without the Holy Spirit, man will not understand God. "But God hath revealed them unto us by his Spirit; for the Spirit searcheth all things, yea, the deep things of God . (10) For what man knoweth the things of a man save the spirit of man which is in him? even so the things of God knoweth no man, but the Spirit of God" (1 Corinthians 2:10-11). The Holy Spirit is like unto the spirit of wisdom and revelation in the knowledge of God revealing the innermost heart of God. Hence it is like fire igniting light. "That the God of our Lord Jesus Christ, the Father of glory, may give unto you the spirit of wisdom and revelation in the knowledge of him: (17) The eyes of your understanding being enlightened; that ye may know what is the hope of his calling, and what the riches of the glory of his inheritance in the saints, (Ephesians 1:17-18). And the Lord went before them by day in a pillar of a cloud, to lead them the way; and by night in a pillar of fire, to give them light; to go by day and night; (21) He took not away the pillar of the cloud by day, nor the pillar of fire by night, from before the people (Exodus 13:21-22). When the disciples were filled with the Holy Spirit, they became fervent and sold all their possessions and goods and shared all they had with one another. 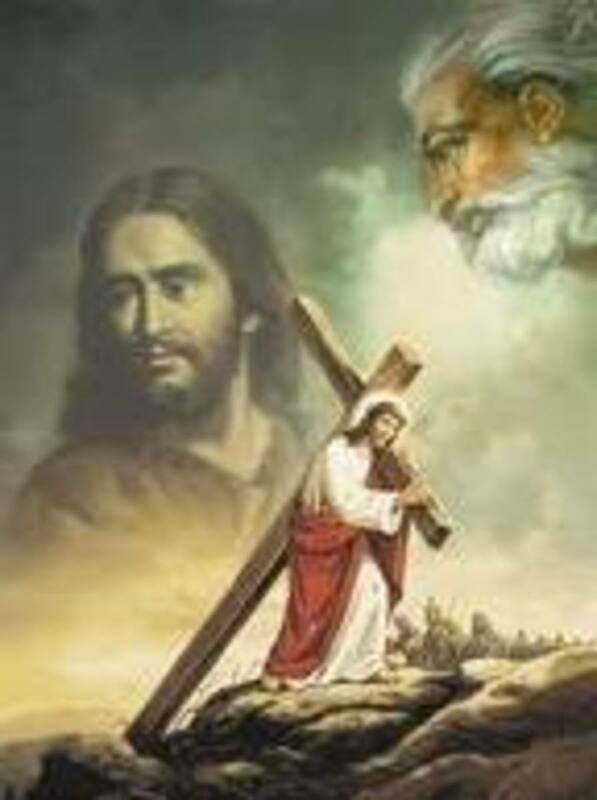 And sold their possessions and goods, and parted them to all men, as every man had need (45). Praising God, and having favour with all the people. And the Lord added to the church daily such as should be saved (47). Jeremiah was moved by the Holy Spirit like a burning fire for the word of God was stirred in him. Then I said, I will no make mention of him, nor speak any more in his name. But his word was in mine heart as a burning fire shut up in my bones, and I was weary with forebearing, and I could not stay (Jeremiah 20:9). 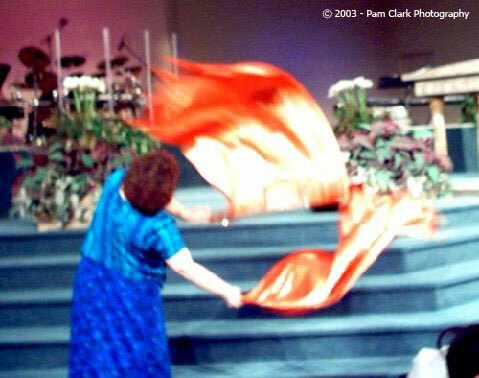 Pam Clark took this picture in 2003 at a Charlotte (NC) Healing Rooms conference with Cal Pierce. These flags are just the usual gold fabric you often see, but the camera saw them as flames! Extremely strong fire like the Holy Spirit can cause many things to melt. Fire can melt steel, a very strong metal. Hardened criminals who are inspired by the Holy Spirit can change and melt down to repentance. Two men were hung with Jesus, one mocked and the other acknowledged his sin and asked for help. The two represent all of mankind because we are all are sinful and deserve death. However, some people turn to Jesus for help and some don't – just like those two who hung beside Jesus. And it shall come to pass, that he that is left in Zion, and he remaineth in Jerusalem, shall be called holy, even every one that is written among the living in Jerusalem. When the Lord shall have washed away the filth of the daughters of Zion, and shall have purged the blood of Jerusalem from the midst thereof by the spirit of judgment, and by the spirit of burning (Isaiah 4:3-4). The church has many members, adults and children, young and old, weak and strong, They are all one in Christ working for the same Spirit for the salvation of the Lord. For by one Spirit are we all baptized into one body, whether we be Jews or Gentiles, whether we be bond or free; and have been all made to drink into one Spirit (1 Corinthians 12:13). Endearing to keep the unity of the Spirit in the bond of peace (Ephesians 4:3). The Holy Spirit, God's manifestion of power can be symbolized by fire. This may be divided into three main sections, namely, Fire can illuminate, Fire has heat and Fire can melt filth and fuses into one body, which is the Church of Jesus Christ. Do you know that fire symbolizes the transforming energy of the Holy Spirit's actions? Can the Holy Spirit shine through the darkness of the world? Can the Holy Spirit makes us fervent for the Lord Jesus? 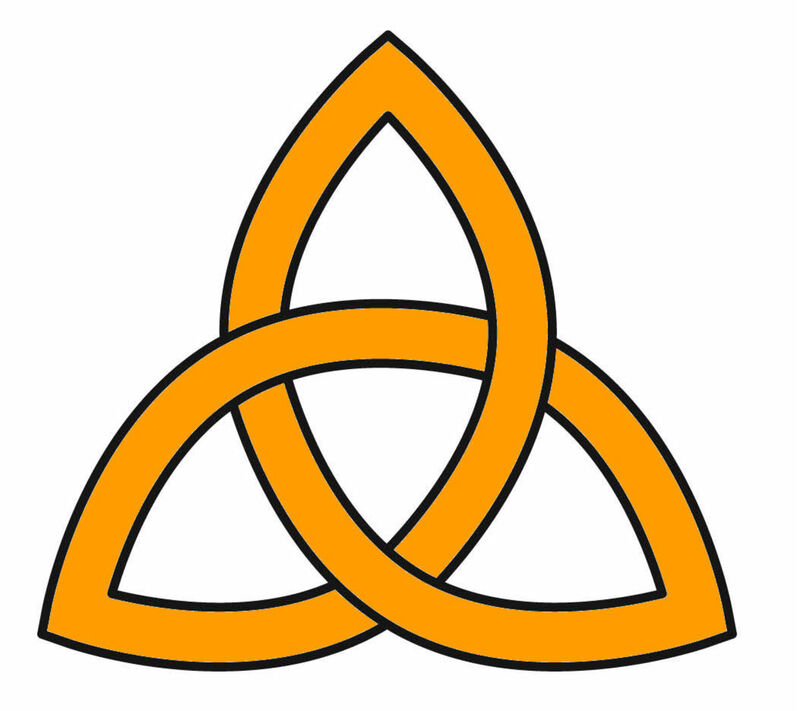 What Is The "Holy Trinity?" Thank you Heavenly Father for pouring over me the Holy Spirit and melting my heart. Please Lord Jesus use the fire of the Holy Spirit to melt the hearts and wash clean the hearts of my family, friends, country and all of mankind. If we lived by the words in Acts 2:44, this world would be filled with love for each other. Thank and praise God if you have received the Holy Spirit. It is the greatest gift one can receive from the Lord. May you profit from having the Holy Spirit in you. A person who call him/herself true christian must be full & control with d holy spirit,i v tasted it,its sweet past honey&already working in me. I am glad that what I wrote gives food for thought. It means that somehow or somewhat in the article makes an impression on you. You were lucky to have seen the Holy Spirit at work and I simcerely pray that you will find such a church that is filled with the Holy Spirit. Ah, well you already know my feelings of celebrating anything for Jesus as the wise men taking Him gifts when He was born but I won't argue it since I do know most do not make it a Holy Holiday, many of us do. I just wanted to say this is a very interesting writing and gives one much to think about. I know fire is spoke of as a purifier. 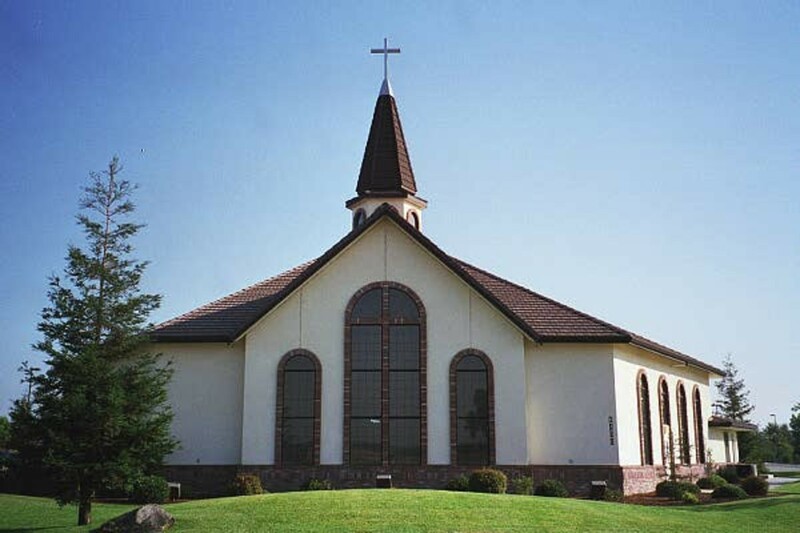 When I was very young 4 to 7 I would say I went with my cousin and aunt to a church that had the Holy Spirit. It didn't impress my cousin who still sucked a bottle although we were the same age but the people in that church and especially my aunt spoke in tongues and their body laid back without any support with arms up high. They cried and laughed and praised God and they did feet washings sometimes I remember. She praised God in almost every breath she took all of the many years I knew her. My aunt (by marriage) lived to be very old and worked almost all of that time and I am sure she did not have to and she was never ever sick but then she died of cancer and that just shocked me so. Anyway, when I was about 11 or 12 and decided I wanted to be saved and baptized I found me one of those churches and rode a bus to it for years but my husband will not go to one because when he was a kid he and his sister and friend went to a tent meeting of Pentecostals and said all at once they could feel this spirit moving through that crowd back toward them, like an unseen wave moving and they flew under the tent and never went back. I laugh when I think about it because that is what I loved about it and I love that spirit and am looking for a Church today like that whether he goes or not because we Christians are going to need all the power of God we can get to get us through the horrors coming toward us now. I have experienced the holy spirit several times in the form of a dove, wind and heat or fire. Thank the Lord that you are blessed by my site. Hope to see you online. God be praised. You sound very sincere! I'm so bless with what i've seen in your site,i hope i'll meet you onlline LORD willing the days to come. Thanks Kathy. I appreciate what you wrote. Peace. See you on Facebook. It is great that you understand the Bible teachings on various subjects. Easter is definitely derived from pagan origins. But many Christians still think it is OK to observe the day because Jesus rose from the dead. There is no Bible verse which emphasizes following the teachings of pagan origins but Christians blindly follow the observance. It is impossible to change a person's mind unless he himself wishes to. As Christians we can present the facts, and the person has to have God in his heart to want to change. The Holy Spirit is supposed to teach us all things. Question is "Do the people really have the Holy Spirit?" You cannot just say that you are already baptized and have the Holy Spirit. What is the evidence that you have the Holy Spirit? Now the world is so chaotic, many will seek the Lord more for help and He will guide them. Seek and you shall find. Idoltry like using Easter to refer to Jesus' resurrection, as in the saying, "Happy Easter". Easter is a pagan holiday. "It's Happy Ressurection Day"! Exodus 20:4 One of the very important commandments in relation with the promises of our health. Thank you for appreciating the hub. God bless. Very good hub. I appreciate it.